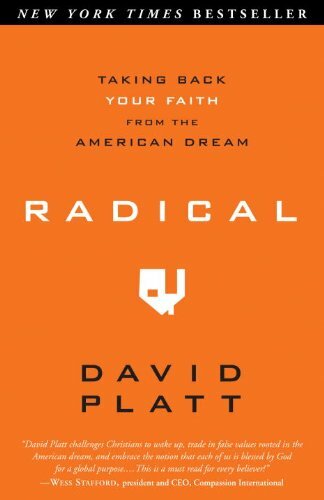 I’ve just finished reading David Platt’s book, Radical: Taking Back Your Faith from the American Dream. Platt often speaks at the big evangelical conferences, and I had heard a lot about this book and read some responses, both positive and negative, so I was curious to read it for myself. Here I offer a brief review of the book, noting its positive contributions as well as some areas of disagreement. First off, Platt writes in a very winsome and engaging style. He is clear and easy to read, and more importantly, he comes off as a very passionate yet humble person who views himself as still learning to live out what he is preaching. This humility provides an important tone for the book, since he also doesn’t pull any punches in his analysis of American evangelical priorities. Third, several of his practical suggestions for how Christians can “take back their faith from the American dream” are as excellent as they are simple. He challenges the reader to take a year and commit to the “Radical Experiment,” which involves (1) praying for the entire world (using a tool like Operation World); (2) reading through the entire Word; (3) sacrificing money for a specific (gospel oriented) purpose; (4) spending time in another context; and (5) committing to living in a multiplying community (i.e., a vibrant church). 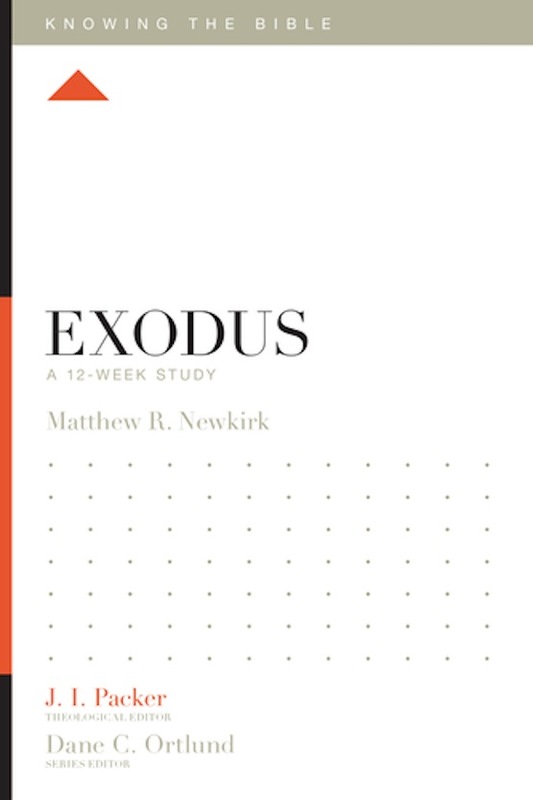 Through this, one leaves the book not simply with a theoretical critique of American evangelicalism, but with practical, tangible ways to respond. Although I think this is a good book and would recommend that folks read it, I do register a couple of fairly substantial disagreements with it. First, throughout the book, the bulk of Platt’s argumentation for why Christians should be concerned about taking the gospel to the nations is fundamentally man-centered. That is, he grounds his appeals for global missions over and over again in how there are billions of people who have never heard the gospel, and if they don’t hear it and believe, they’ll end up in a Christless eternity. While I heartily affirm that we should have compassion for the lost, I would argue that this is a penultimate rationale for missions and evangelism. The ultimate rationale for missions should be a God-centered concern that Jesus be honored and submitted to as King of kings over every inch of His creation, for His glory. Missions and evangelism should ultimately be driven by theocentric rather than anthropocentric concerns, though of course the latter should not be absent. Now, that said, my sense is that Platt would endorse this concept. Early on in the book he touches on the prominence of God’s glory for the church’s life and mission. However, the majority of his actual argumentation throughout the book focuses on the salvation of the lost, rather than the glory of God, as the driving force behind the church’s need to get radical. A clearer articulation of how God is increasingly glorified as His church spreads to every tribe and tongue would have strengthened his argument. Second, Platt argues that to obey the Great Commission, every Christian should be “going” and making disciples of the nations. This interpretation finds its way into number (4) of his Radical Experiment: spend time in another context. Although I agree that it is helpful for people to leave their own situations and broaden their global horizons through things like short-term mission trips, Platt seems to suggest that the intent of the Great Commission is simply for every Christian to go and make disciples somewhere else indiscriminately. The problems with this are that (1) it doesn’t distinguish well between Christians’ different gifts and callings, and (2) it is not strategic toward reaching every nation. (1) Personally, I’m not convinced that Jesus intended for every Christian to cross cultures with the gospel. Since Jesus gave the Great Commission to the apostolic company, I would argue that it is addressed to the church as a whole. This means that it is not every individual Christian’s responsibility to “go and make disciples,” but rather the church’s responsibility to do so. Since the church is one body that comprises many parts (1 Cor 12:14-30), and since God gifts the different parts of the body differently (Eph 4:11-12), it seems better to conclude that some parts of the body will cross cultures with the gospel and some will send them (i.e., pray for and fund them). Some will minister primarily through preaching and others primarily through service. Some will be better equipped to minister through encouragement and others through sacrificial giving. What we need is not for each individual to “go” as if the body were made solely of feet, but rather to discern how one fits into the body and operate accordingly so that the body as a whole is equipped to carry out its mission in a coordinated fashion. This may mean becoming an evangelist, but it may not (note that Paul says that God gifted “some to be evangelists” [Eph 4:11]!). This removes the guilt factor for those who don’t feel called to “go” elsewhere and enables them to embrace their calling as part of the missional body that is the church. (2) Platt seems to suggest that as long as people are going somewhere else, that is Great Commission action. However, the fact that Jesus says to “make disciples of all nations” (Matt 28:19) should tell us that simply going somewhere else indiscriminately is not going to cut it after a while (especially after 2,000 years!). The church needs to assess the global landscape and see which nations have not been discipled and be diligent to extend the gospel into those areas. When I read Platt, I get the feeling that we could end up with people traveling this way and that, yet without a strategy toward reaching an all-encompassing global goal for the spread of the gospel. Now, again, to Platt’s credit, he advocates for missions to unreached peoples both in his writing and in his speaking. But in this book I didn’t get a clear sense that the church should strategically advance into places “where Christ is not known” (Rom 15:20). More attention to a global strategy for world evangelization would help readers see that missions is concerned with taking the gospel to all nations as opposed to simply going indiscriminately to other nations. In sum, this is a very well written book with a pastoral tone that deserves to be read and thoughtfully considered. Although I personally disagree with some of his approach, Platt has done the church a great service by identifying a significant issue and offering thought-provoking suggestions for how Christians should respond to it.